Like Shakira’s hips, my skin doesn’t lie. 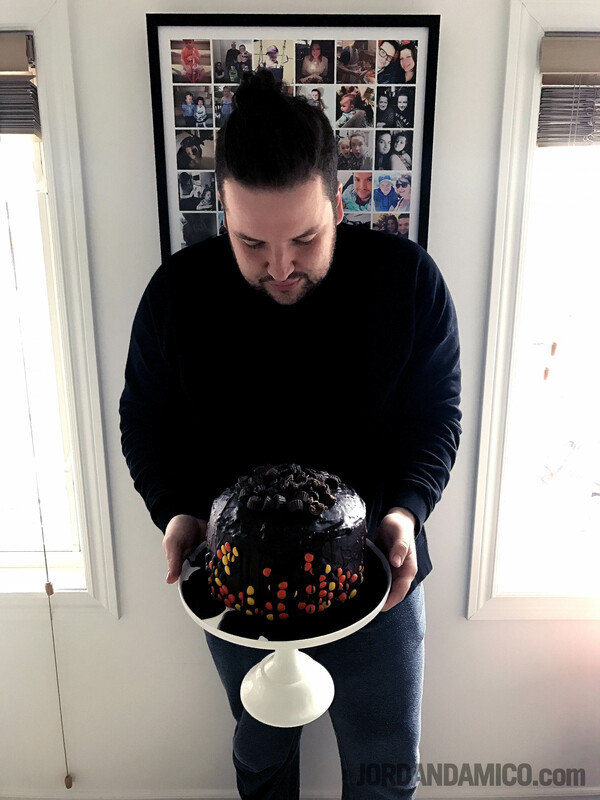 I’ve talked about this a few times in previous posts – about the interesting and complex relationship I have with my skin. 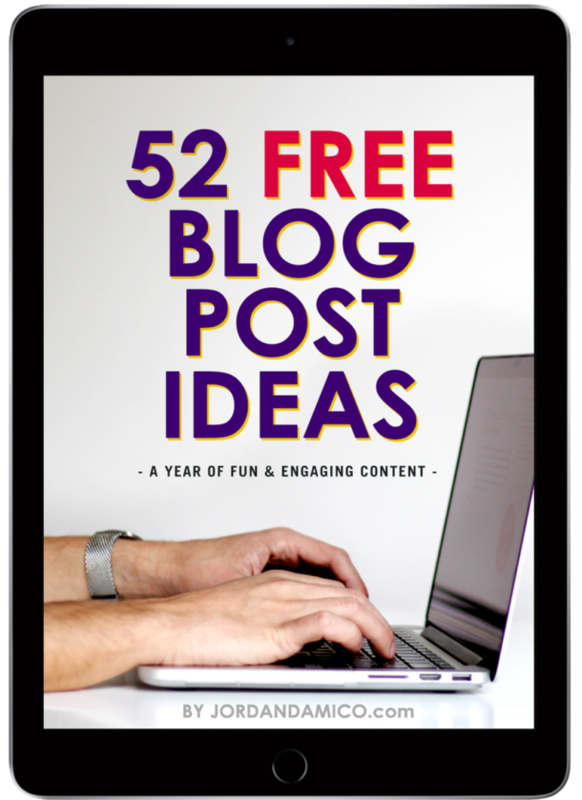 It’s been a long road of discovery – trying to find what works and what doesn’t work. Sensitive skin, of course, is nothing new to me. Since I was a baby, special, unscented soaps were a necessity to prevent me from breaking out in a rash. Even today, I have to be so careful with what I use. I won’t even tell you about the popular face wash I used that quite literally burned the skin on my cheeks, leaving with me tender red marks for the next few days. 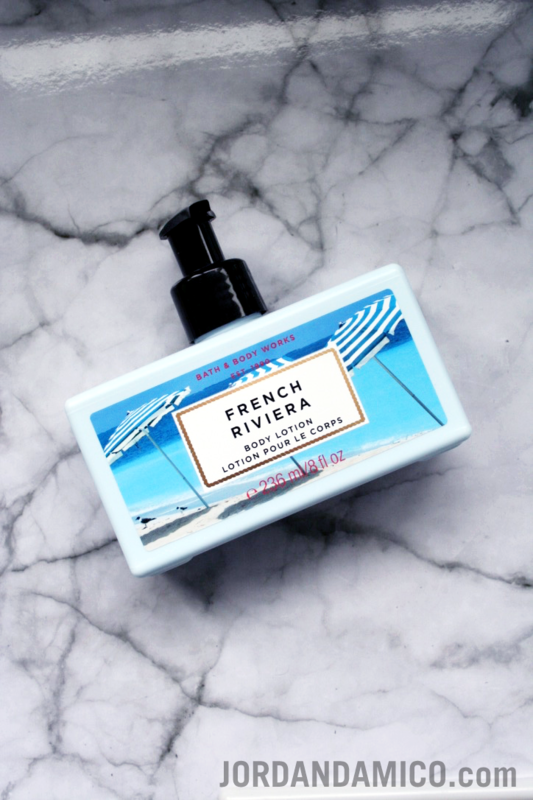 When I came across Bath & Body Works’ new French Riviera collection – which includes way more than just the body lotion – I was sold, instantly. I was so invested in it, in fact, that I purchased two bottles – one for home and one for my desk at work. 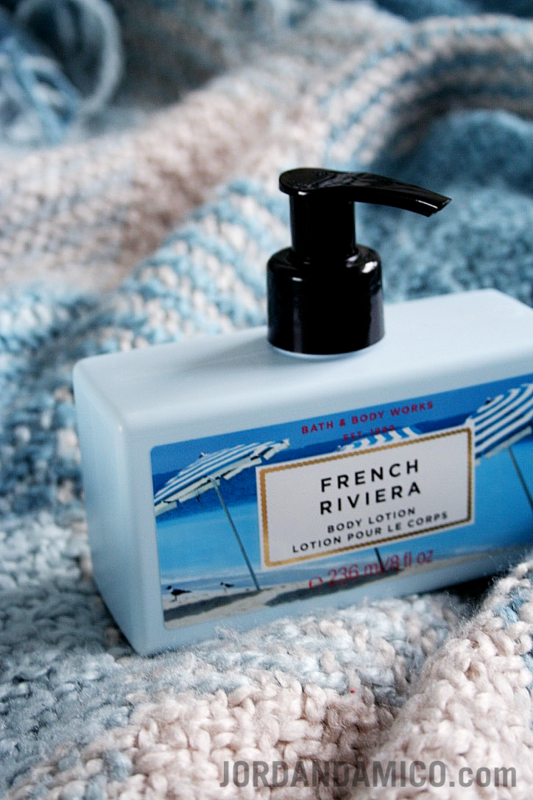 I loved everything about it, including the light and yet pleasant smell, the creamy texture, and the bottle (unapologetic about that – I love pretty things). One of the greatest things lotion can do for me is to keep my skin from cracking after using hand sanitizer. 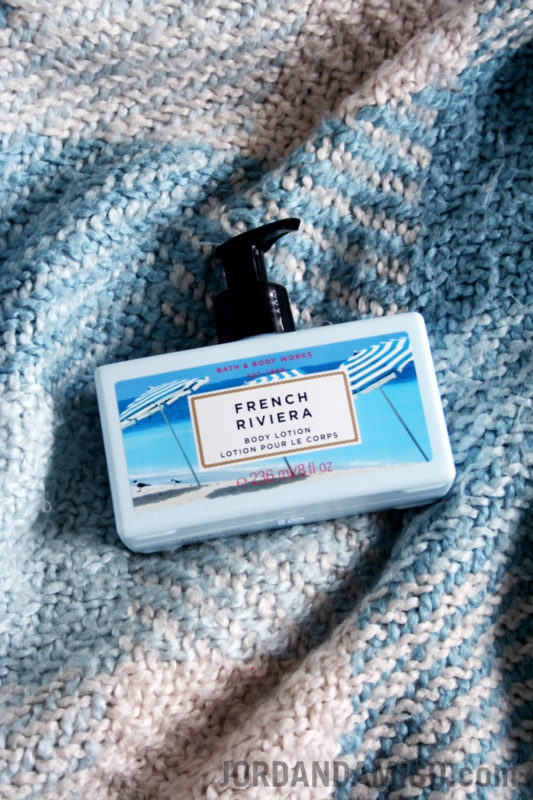 I liberally apply disinfectant several times a day – especially when you’re venturing into the outside world multiple times a day – and a quick application of Bath & Body Works French Riviera Body Lotion is the best way to stop the disinfectant from irritating my hands. Call me crazy, but it works. Using lotion is a daily routine for me and doesn’t just come up when I’m fresh out of the shower or about to go to sleep. I find my skin feels best when I routinely moisturize. 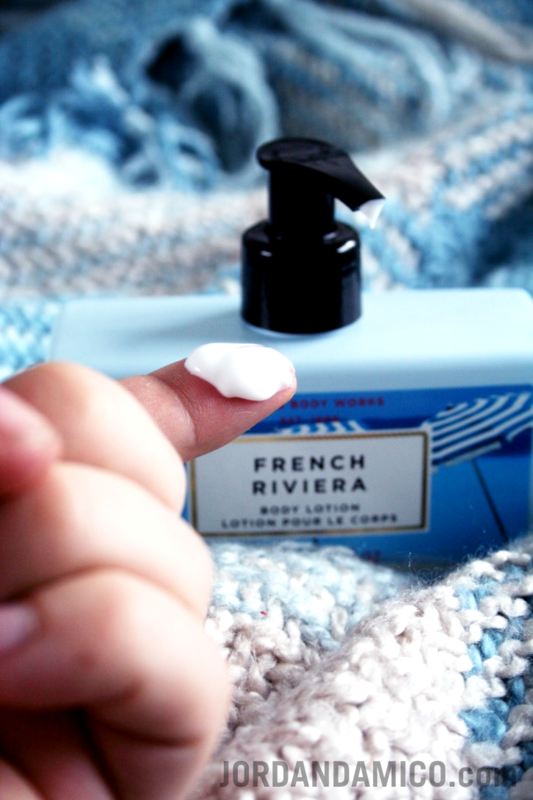 The second I feel my skin tighten (we all know that feeling), I get a quick dollop on my fingers and rub it in until it’s completely absorbed. It’s the easiest way to give back to skin that does so much for you. Tell me: When do you most like to moisturize your skin? What are some of your favourite products?